You’re building the kitchen of your dreams. You have a vision in your head of what the cabinets will look like and the unique look for your countertops that will wow your guests. Have you thought about how you’ll accentuate your range with a backsplash? The backsplash, placed behind your stove, is one piece of that can tie the entire kitchen together. It is the bridge between your custom cabinets and your carefully chosen countertops. Having a backsplash adds to the overall beauty of the kitchen; it is a small touch that yields a large effect. Another backsplash choice that is growing in popularity is the use of glass tiles. Glass tiles are a top selection because they are available in a wide variety of colors and shapes, adding pizazz to many kitchens. Their simplicity coupled with the bounteous options for color themes and arrangements make glass tiles ideal for creating intrigue among guests visiting your abode. If you are a fan of employing varying textures, you might consider sculpted limestone for your backsplash. This particular style truly pops with installed lighting under your cabinets, as it creates dramatic shadows and highlights between the curves of the limestone. Such lighting can add a more three-dimensional look to your backsplash. For a classic and clean-cut look, the use of subway tile in the kitchen is impressive. You can upgrade this traditional style to have a more modern feel by adding stainless steel inserts in between the rows of subway tiles. If you’d prefer using stainless steel alone, go for it! A stainless steel backsplash offers style and, as a bonus, is often scratch-resistant. What more could you want with an upscale, modern look? No matter which type of backsplash you choose, it will surely kick your kitchen’s design up a notch. While an often overlooked detail, you’ll love the added benefit of having a backsplash protect your kitchen wall in style. Are you ready to take the next step to make your dream come true? Come into one of our three showrooms, all conveniently located in Southwest Florida, to speak with one of our team members. They can interpret your vision and bring it to life with samples, remodel plans and more. 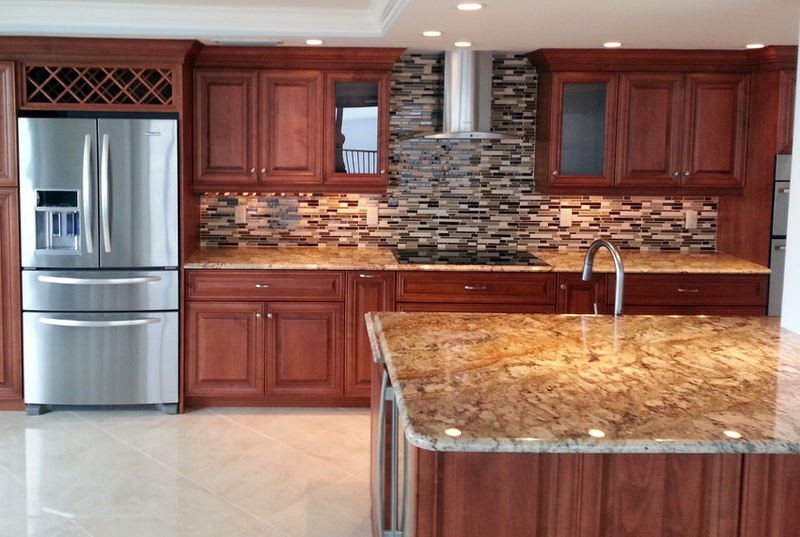 We understand the amount of planning and detail that goes into any kitchen remodel. 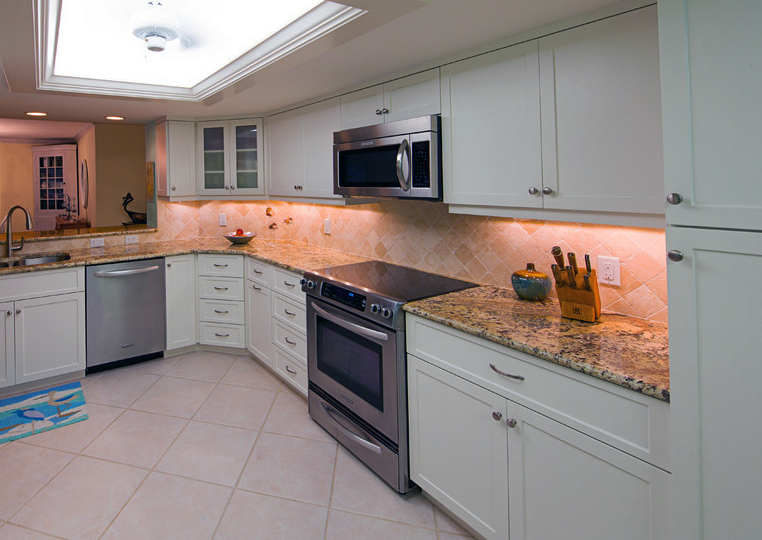 From small updates to a complete remodels, we will exceed your expectations. Get started with a free in-home consultation or reach out to our team to learn more.